Globally 325 million people are living with hepatitis B and hepatitis C but, despite the fact that the solutions to eliminate these infectious diseases exist and have been proven to be cost-effective, efforts to implement them at scale are only just beginning. As of May 2018, only 82 countries report that they have viral hepatitis plans in place and of those, only 35% reported dedicated funding for these plans. Financing should not be a barrier to developing and implementing a national viral hepatitis programme that has an explicit goal of elimination. 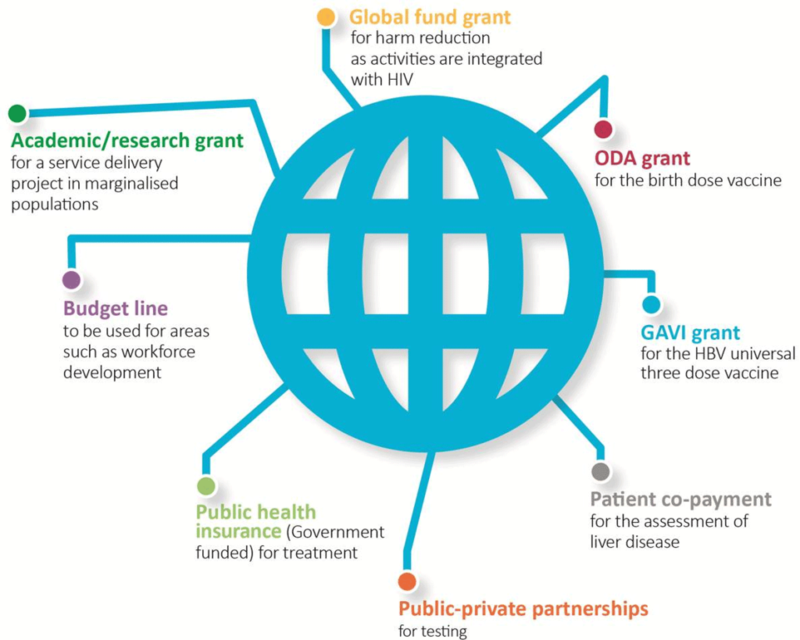 In the absence of a global fund for viral hepatitis countries may need to look at a number of different financing sources and strategies in order to fully fund their national plans.